Kanipura Sri Gopalakrishna Temple, situated in Kumbla in Kasaragod, is dedicated to Lord Krishna. Lord Krishna worshipped here as Bala Gopalakrishna, the idol here in standing pose is made of krishnashila (jet-black granite). 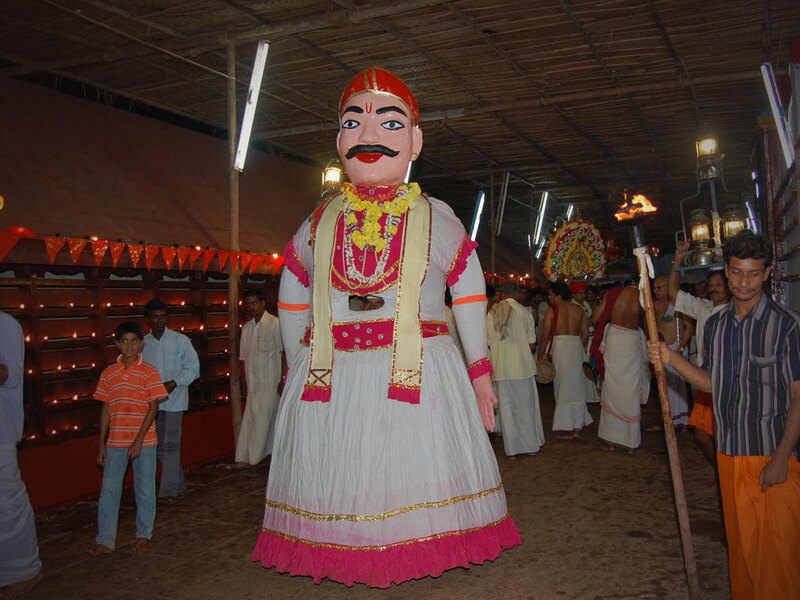 The annual festival celebrated here is the Makara Sankramam or Kumble Bedi, as it is known locally. 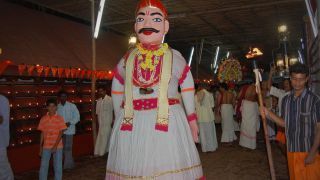 This five-day festival starts with Kodiyettam on the last day of the Malayalam month of Dhanu and ends with an arattu in the Malayalam month of Makaram (Mid-January). 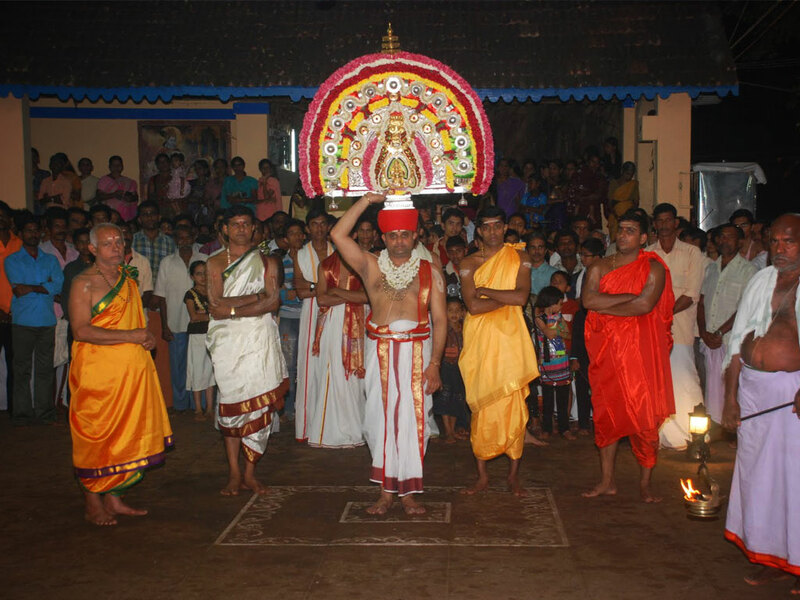 Thidambu Nritham, a ritual temple art form performed in the temples of North Malabar and Kasaragod, is the major attraction here at the annual festival. Thidambu denotes the decorated replica of the deity in a temple that is usually taken outside for the purposes like festivals and poojas. 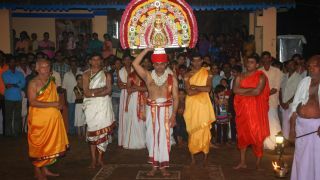 In Thidambu nritham the performer will carry the decorated image of the deity ( thidambu) on the head.Thidambu nritham is a 700-year old dance form of northern Kerala. Kanipura Temple was the original seat of the Raja of Kumbla later shifted to Mayapuri.